Local business owners in Fort Wayne and property managers are responsible for scheduling commercial carpet cleaning for their businesses. There are many benefits of commercial carpet cleaning. If you own a business where customers visit your store or restaurant, the appearance of your location is very important. You want your business to appear professional. That includes the appearance of your employees and the cleanliness of your location. You want your windows, bathroom and carpet to be pristine for customers. This is even more important for a restaurant. People do not want to eat somewhere that does not appear clean. For restaurant owners, you should schedule carpet cleaning either three or four times a year to ensure your business appears clean and healthy to customers. Rental properties should also care a lot about clean carpet in order to attract new tenants. Interested renters will not want to live somewhere that isn’t cared for. 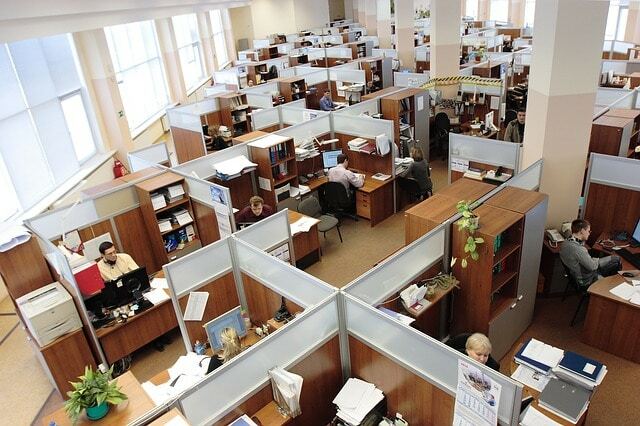 If you run an office building you owe it to your employees to provide them a clean and healthy work environment. You might be tempted to hire a janitorial service for routine cleaning and deep carpet cleaning but we recommend hiring a Fort Wayne carpet cleaner instead. A certified carpet cleaning company utilizes the proper equipment and training for superior results. Janitorial services do not have the same quality equipment for carpet cleaning and cannot replicate the same results. Chem-Dry of Fort Wayne in Allen County uses portable equipment and green cleaning solutions to deliver results that are healthy for your carpet and place of business. 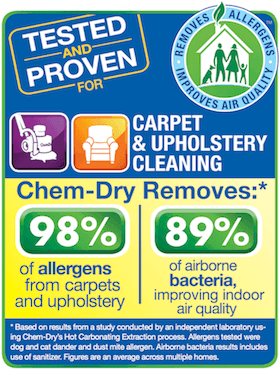 Your employees will thank you because our carpet cleaning removes 98% of allergens for a healthier workplace. You will love our service too because our carpet cleaning method results in much drier carpets. You can schedule an appointment right before or after business hours and be guaranteed the carpet will be dry prior to the arrival of customers. If you have furniture in your waiting room or upholstered chairs in your dining room, we can clean those too! Our upholstery cleaning service uses the same solutions for amazing results on couches and chairs. Learn more about our services online. To schedule commercial carpet cleaning call (260) 409-1138 today!